A wise man once said, “The journey of a thousand lifetimes begins with a single click”. It’s something like that, at any rate. 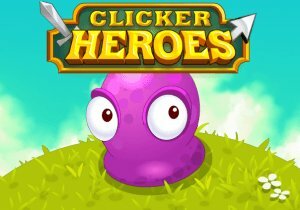 Playsaurus began the Beta for Clicker Heroes 2 today, the creators of the multi-platform Clicker Heroes. Players who are interested can buy in for 29.99 USD on Steam or on their official website, which is scheduled to begin at 1 pm PST. Clicker Heroes 2 will see players going through an infinite Action-RPG built and designed to be enjoyed for years. A never-ending journey of mythical creatures awaits, progressing through an infinite number of worlds, and there’s always something better on the horizon. Beta participants can look forward to playing as Cid, The Helpful Adventurer, the first of many other new heroes in development. Infinite Progress: Hop from zone to zone to defeat monsters and purchase gear and upgrades that will help you reach higher zones. Once you’re strong enough, advance from world to world where you’ll find even more powerful monsters and unlock even better upgrades! Skills: Unlock tons of satisfying skills to help you kill monsters faster. Big Clicks, Huge Click, Multiclick, and more. Find the perfect combination and rotation for maximum DPS! Worlds: Conquer a vast amount of worlds and defeat their unique monsters in search of more gold and experience! Automator: Customize “The Automator” to play the game for you while you’re away. Automatically buy new gear, level up, and create complex skill combos. Maximize your efficiency by crafting the perfect Automator sequences. Massive Skill Tree: Choose your own path to success with hundreds of amazing upgrades for your stats and skills in the massive skill tree. Play the game the way you want to! Sony Online Entertainment has released a new video today, highlight footage from adventures in the Dragoon Ruins.